A 5-day painting holiday focusing on sketching and painting the flocks of geese which congregate on this beautiful island each autumn. 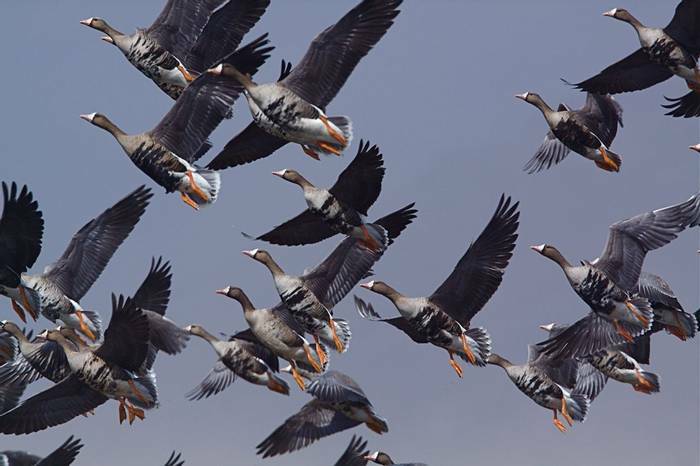 The remote Inner Hebridean island of Islay is widely regarded as one of the most important sites in the British Isles for wintering geese and, by the end of October, they can be found in their tens of thousands, creating one of the UK’s most impressive wildlife spectacles. Blessed also with a beautiful landscape of mountains, moorland, woods and farmland, Islay has been described as the ‘Queen of the Hebrides’ and provides refuge not only to thousands of wintering Barnacle and Greenland White-fronted Geese, but also an impressive range of raptors, including Golden and White-tailed Eagles, Hen Harriers and Merlins. Under Darren’s expert guidance we will aim to take advantage of the last week of British Summertime to capture the beauty of this island, the colours and light effects over the peat moors and coastlines, and of course the vast flocks of geese which congregate here each autumn. We’ll return to our delightful base, the Bridgend Hotel, each day to discuss what we have learnt, enjoy demonstrations from Darren and further improve our artistic techniques. Breakfast and dinner only. Allow £10 per day for lunch. A comfortable hotel on Islay. All rooms with private facilities.